Dunwell won the Gold Medal with the Congratulation of Jurys and the Russia Commendation Award at the 46th International Exhibition of Inventions of Geneva in April 2018 with the solar power enabled DMBR Micro Bubbles Membrane BioReactor Wastewater Treatment and Reuse System. 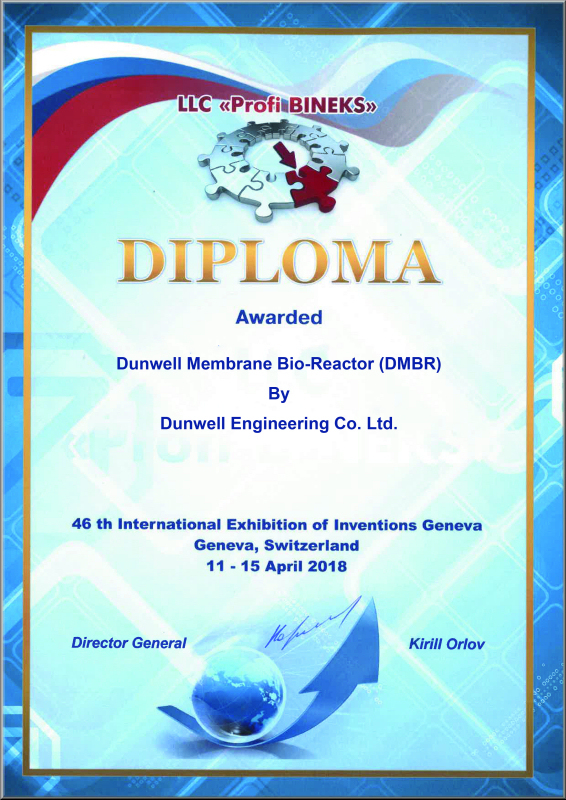 The DMBR Membrane BioReactor (DMBR) is designed for municipal wastewater (from toilets, bathrooms, kitchen and laundry) recycling applications where treated water can be reused for toilet flushing and irrigation purpose. 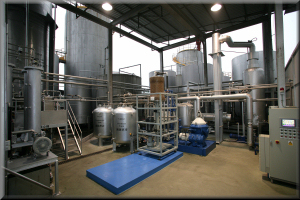 The microorganisms in the DMBR consume the organic waste in the wastewater and the membrane will retain the microorganisms to ensure the treated water meeting the required standard. 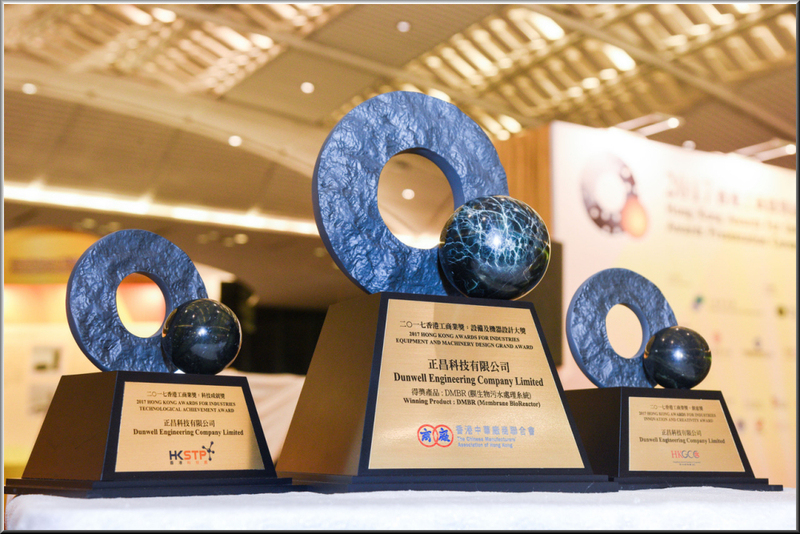 After years of R&D on the energy consumption pattern of DMBR, Dunwell has developed an efficient, advanced aerations technology, A-JET which replaces the conventional air blower or compressor. With a special designed nozzle and proprietary concept, A-JET generates the micro bubbles for better function but at 50% less energy that enables a solar powered DMBR for the market. With the 3rd generation of technological advancement since its inception in 2006, the DMBR has demonstrated its creditability through the 160 installed systems such as at hiking trails, country club and residential areas and more up-coming projects in Hong Kong. 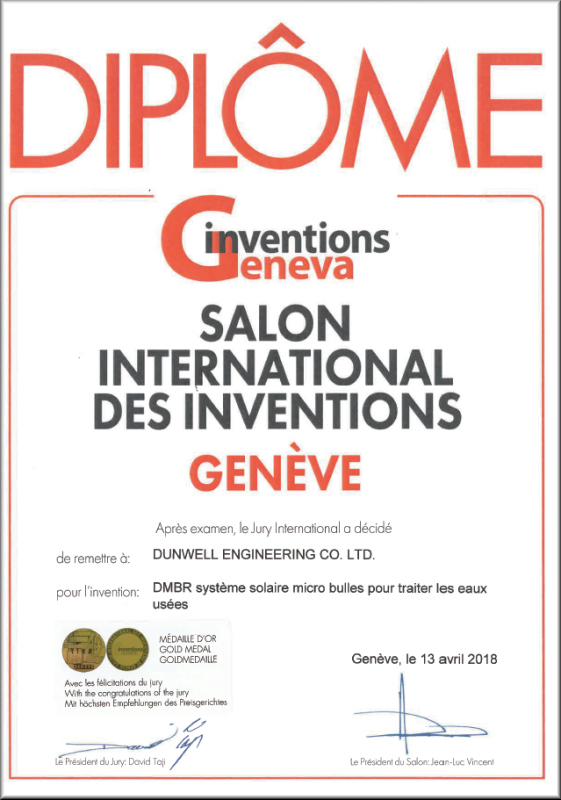 The DMBR offers a practical solution to proper sewage treatment of public toilets and new residential complex in rural areas that are inaccessible to government wastewater treatment facilities. 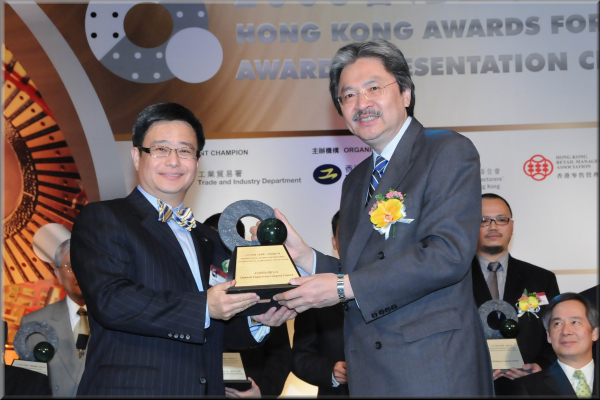 It also provides a cost effective and quick alternative to redevelopment property projects in busy districts. On December 11th and 18th 2017, Dunwell is honoured to have won 4 awards with our DMBR Membrane BioReactor. 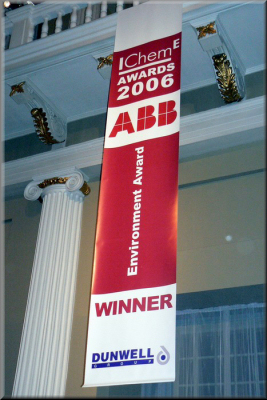 After years of R&D on the energy consumption pattern of our DMBR system, Duwnell has developed an efficient, advanced aeration technology, A-JET which replaces the conventional air blower or compressor. 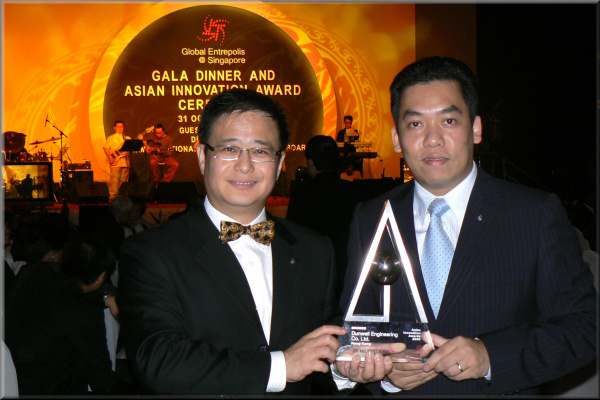 With the proprietary concept and a specially designed nozzle, A-JET generates the micro bubbles for a better function but, compared with conventional aeration technology, at 50% less energy that enables a solar powered DMBR for the market. 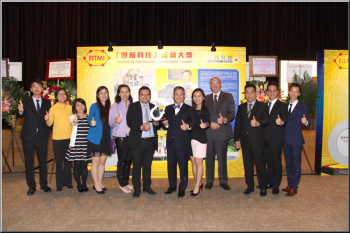 DMBR offers a practical solution to proper sewage treatment of public toilets and new residential complex in rural areas that are inaccessible to government wastewater treatment facilities. 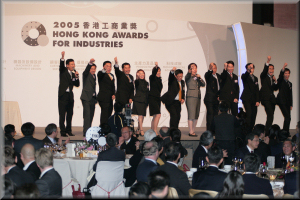 It also provides a cost effective and quick alternative to redevelopment property projects in busy districts. 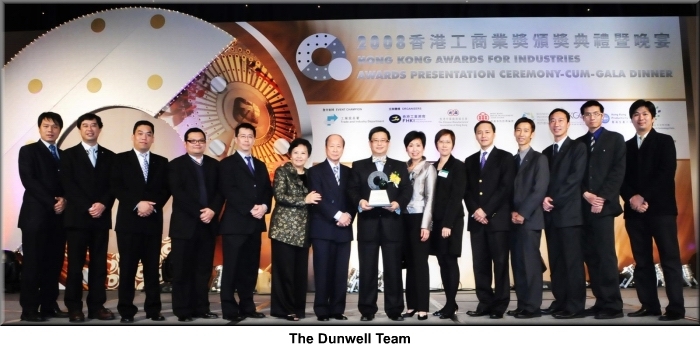 Dunwell has built over 160 systems in Hong Kong country parks and residential complex. 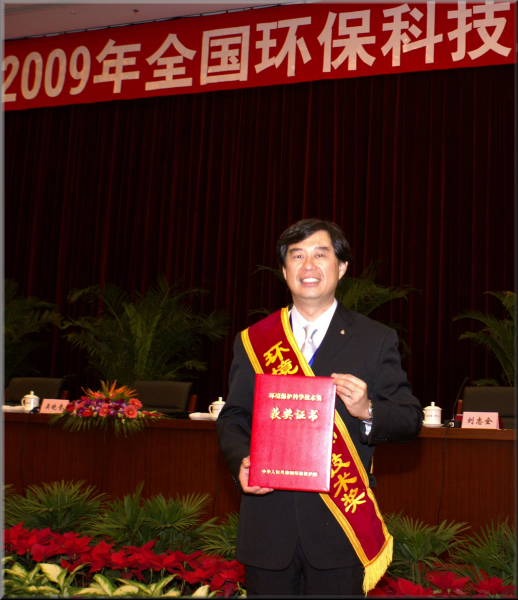 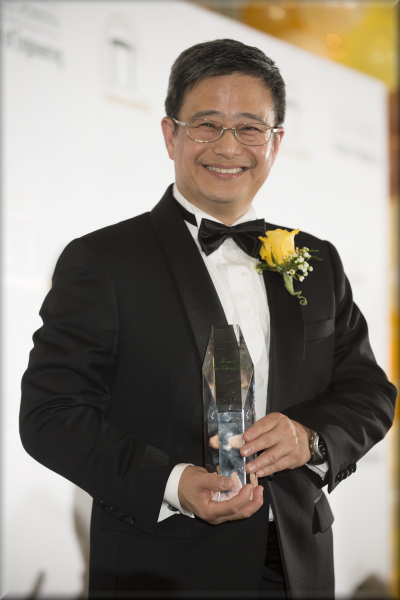 Ir Daniel M. Cheng, Managing Director of Dunwell Group, receiving the honour of Hall of Fame from California State Polytechnic University, Pomona in February. 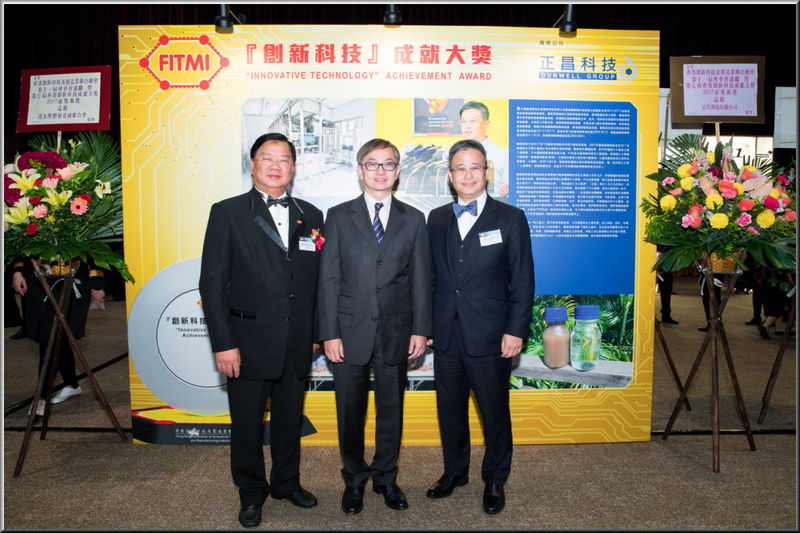 Mr. Cheng is the first Asian Inductee in the 75th Anniversary, where he received his Industrial Engineering Degree since 1981. 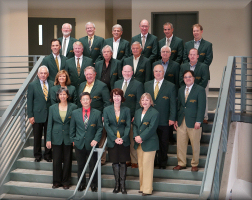 The 22 inductees were selected, from 25,000 engineer alumni of the past 75 years, based on their achievements and contributions to the community and to the global market. 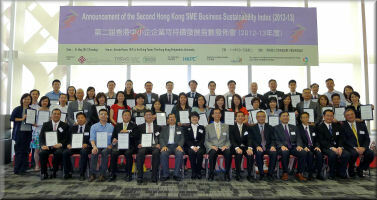 We highly value corporate social responsibility. 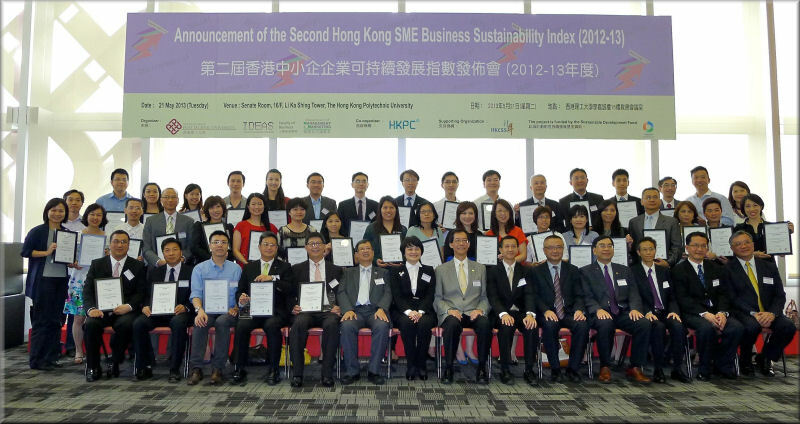 Besides adopting ethical business practices, we also well define our responsibility to the society, clients, employees as well as the environment. 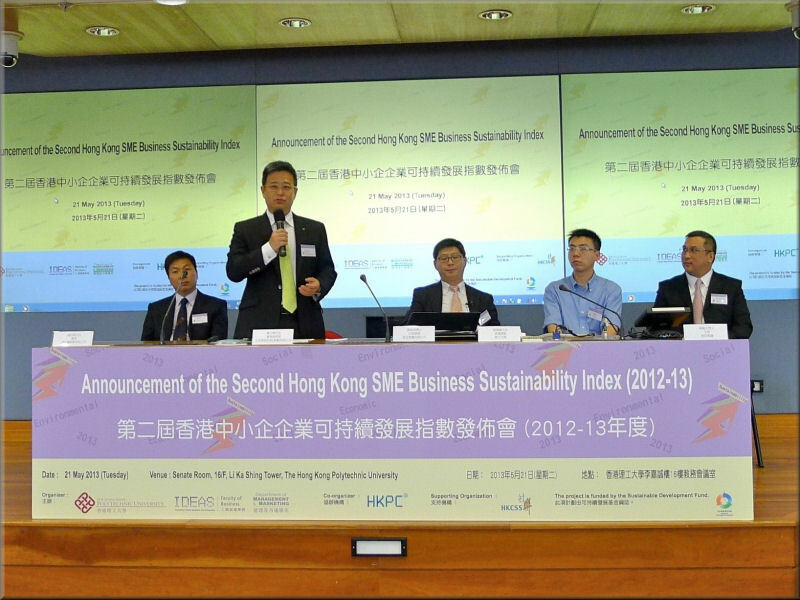 In the "Second Hong Kong SME Business Sustainability Index" launched by Hong Kong Polytechnic University in May 2013, we ranked as the second ranking company. 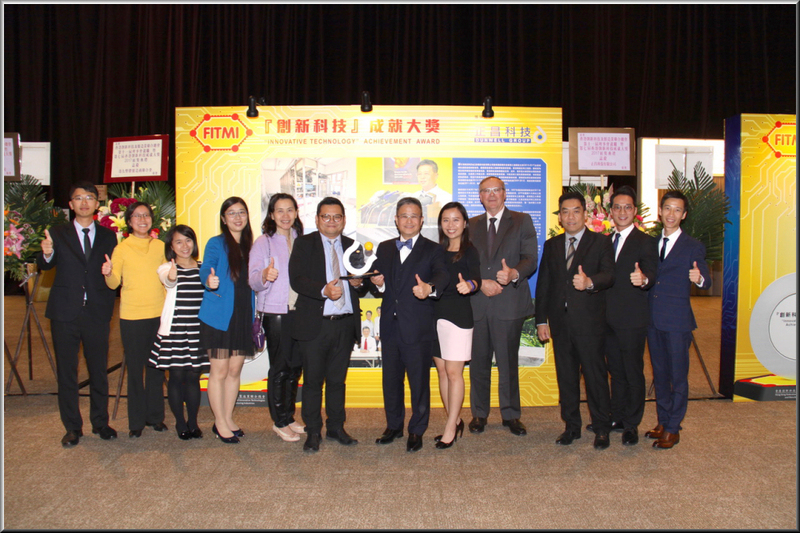 During the award presentation ceremony, Ir Daniel M. Cheng also shared his experience with local SMEs about how we define our position and implement our CSR projects. Printing paint used on packaging materials is considered as a source of contamination. A huge amount of polluted water along with chemical addictives will be discharged during the daily operation of the printing factories; which will not only contaminate the water resources but also increase the carbon emission. 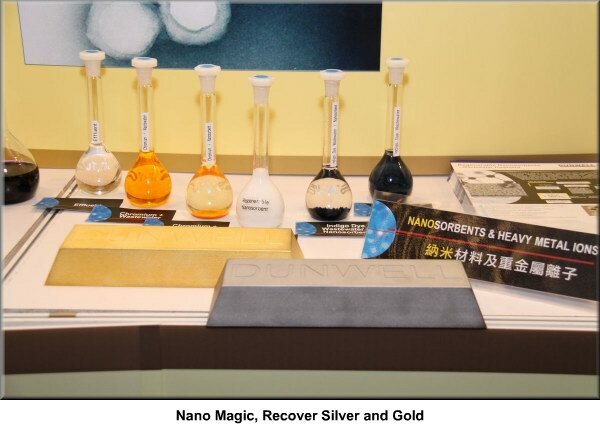 Dunwell’s VMAT vibrating membrane technology can separate the ink and water used in the printing process; where the ink can be used again for printing and the water can be used to clean the ink cartridge. 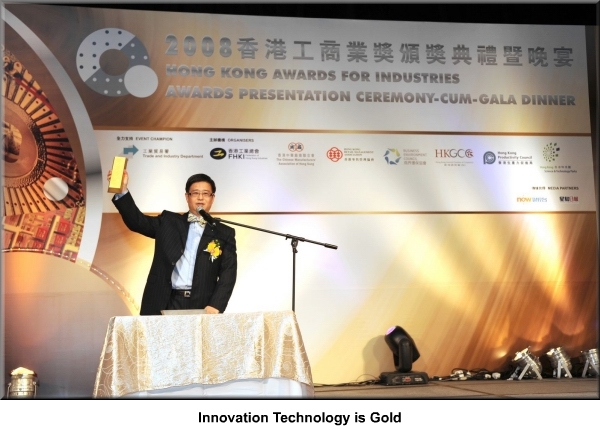 The technology not only significantly reduces the wasted ink and polluted water to be discharged but also uses no chemical addictives to treat the contaminants. 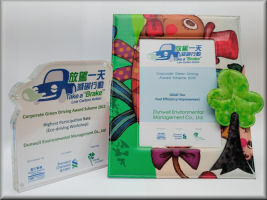 Friends of the Earth Take a Brake Low Carbon Action 2012 Corporate Green Driving Award Scheme "Gold Tier - Fuel Efficiency Improvement Award" and "Highest Participation Rate (Eco-driving Workshop)"
Turning words into actions, Dunwell Group actively supports local environmental protection programme and encourages our staffs to participate. With our continuous dedication, we won the "Gold Tier - Fuel Efficiency Improvement Award" and "Highest Participation Rate (Eco-driving Workshop)" in the "2012 Take a Brake Low Carbon Action Corporate Green Driving Award Scheme", proving our awareness and hardwork in corporate social responsibility. Safety has been one of Dunwell’s major focus areas through out the years; we regularly provide safety training to our employees and sub-contractors to develop and increase their awareness of occupational health and safety. 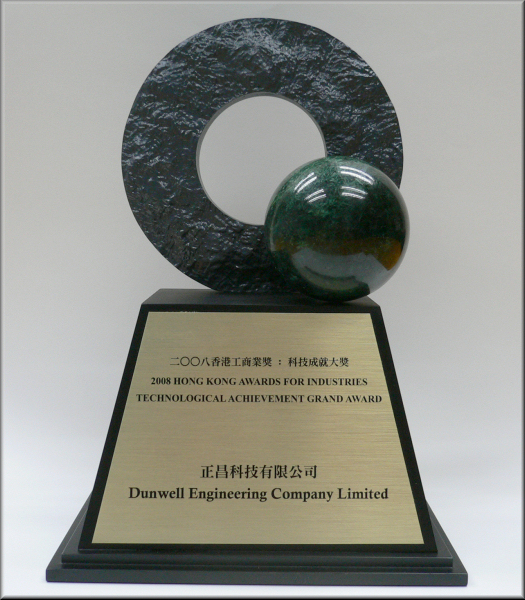 In Oct 2012, Dunwell received the ExxonMobil Asia Pacific Asset Management Fuels Marketing President’s Safety Award Best Performing Segment 2011 as recognition of our excellent awareness of occupational health and safety issue in our work among the used oil recycling industry. 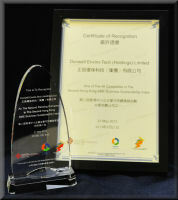 Over the years, Dunwell has been enthusiastically engaging in the area of Corporate Social Responsibility (CSR). 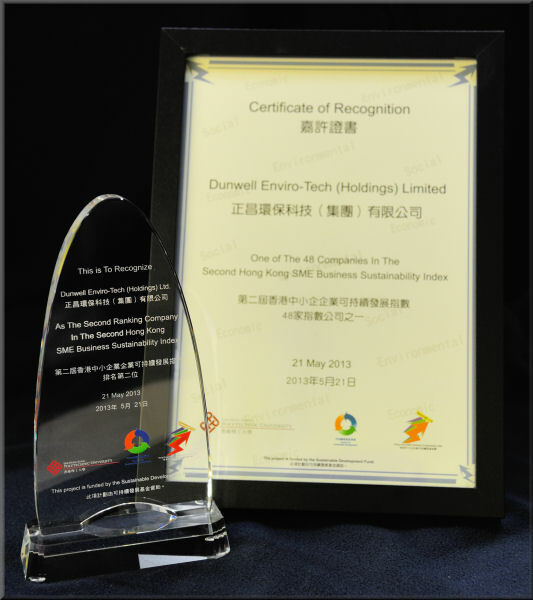 As a pioneer in the Environmental Industry, Dunwell is always dedicated to promoting the sustainable development within the community. 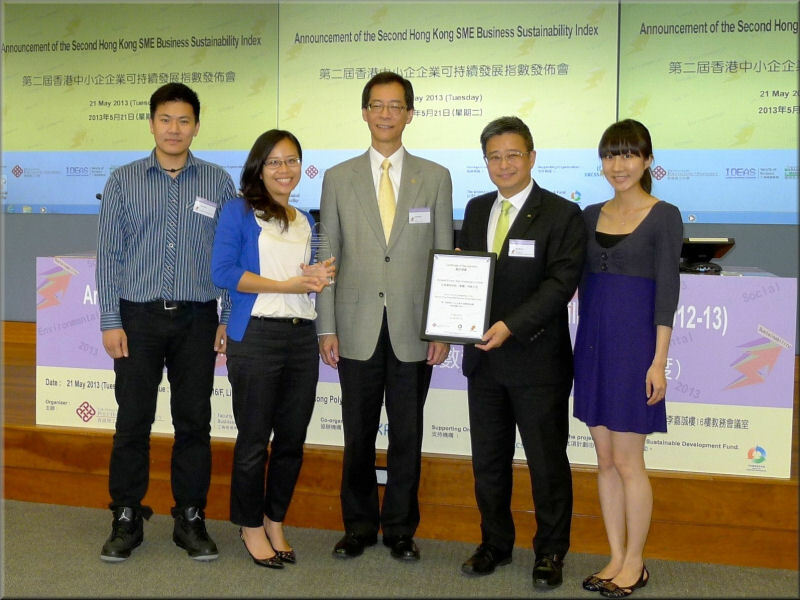 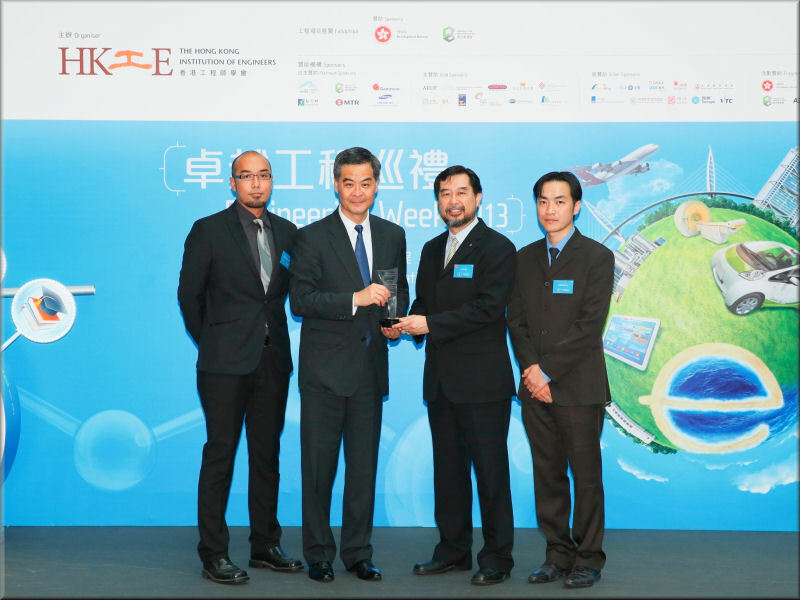 On 8 Dec 2011, Dunwell Enviro-Tech (Holdings) Ltd. was awarded the Gold Award in the SME category of the 2nd Hong Kong Corporate Citizenship Award, organized by the Hong Kong Productivity Council and sponsored by the Bank of China (HK) Ltd. 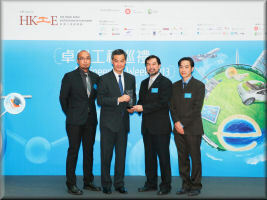 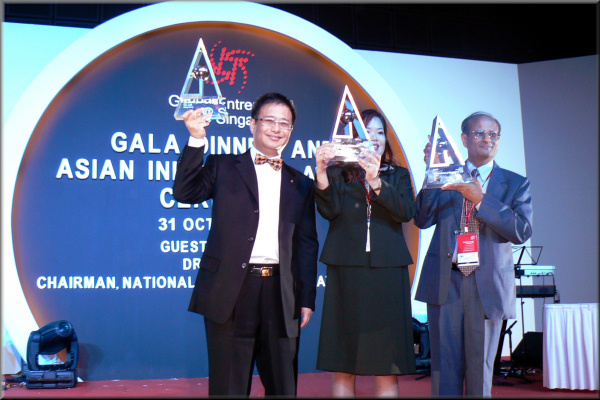 The award presentation ceremony took place in the Hong Kong Convention and Exhibition Centre. 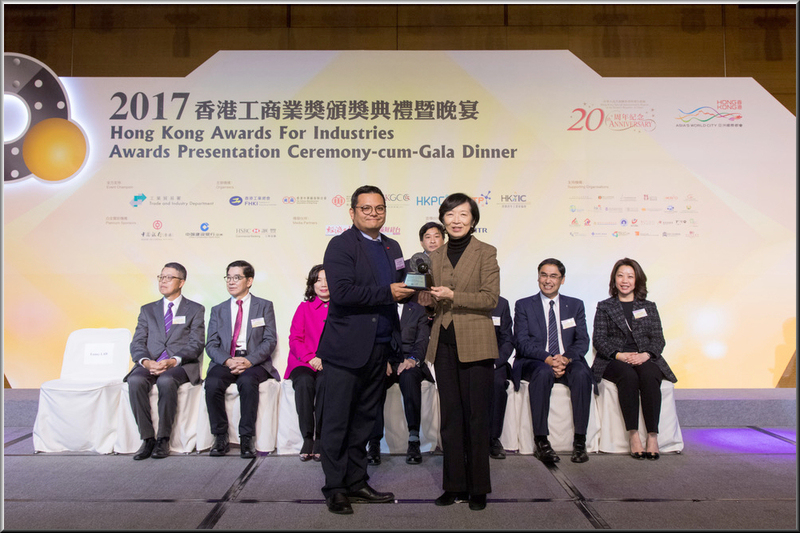 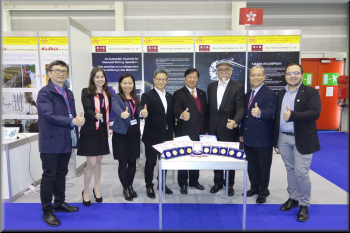 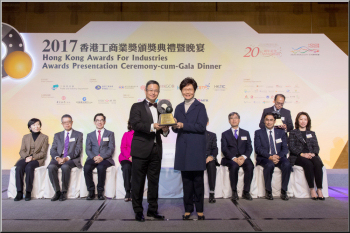 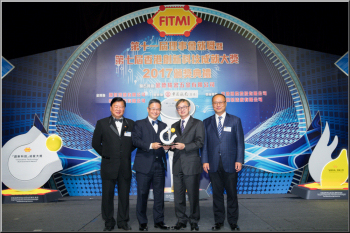 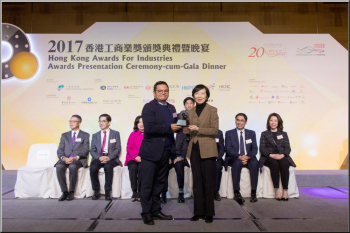 Our Business Development Director, Mr. Victor Li received the trophy from the guest of honor, Mr. Stephen Lam Sui-lung, Chief Secretary for Administration of the HKSAR. 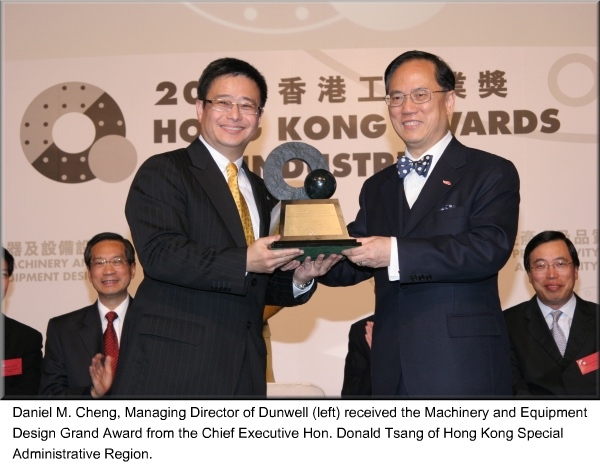 After the ceremony, Mr. Victor Li represented Dunwell to give a presentation on Dunwell’s CSR policy and shared the CSR experience with the audience. Ir Daniel M. Cheng was appointed as a non-official Justice of Peace on 1 July, 2011, which is a befitting recognition of his unwavering devotion on community service and promoting environmental industry in Hong Kong. 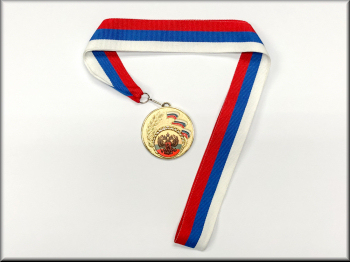 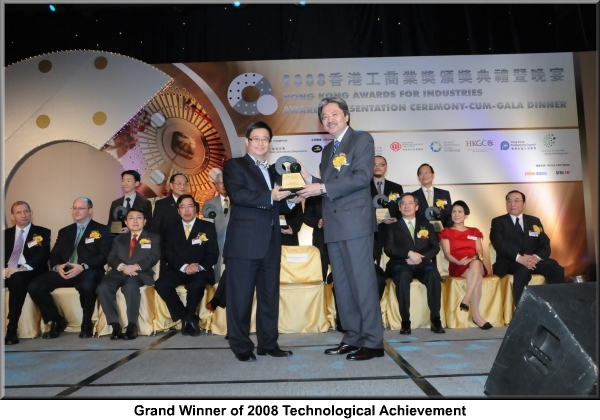 With the Regenerable Nanosorbent to recover Dye and Metals from Textile and Electroplating wastewater, Dunwell has won the 2008 Hong Kong Awards for Industries - Technological Achievement Grand Award. Dunwell has integrated a unique, Hong Kong developed nanotechnology with the proprietary vibrating membrane wastewater treatment system. 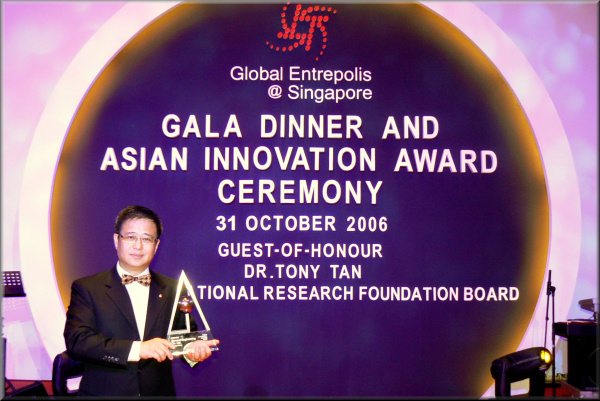 This revolutionary technology has been rapidly accepted by the market and demonstrates its high business potential. 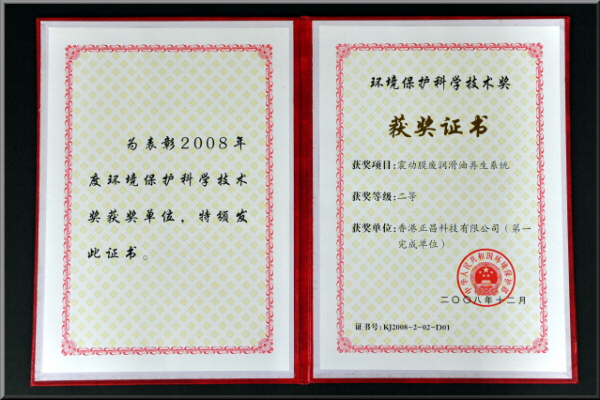 In 2008, Dunwell has received the honor to be the first Hong Kong company awarded by the Ministry of Environmental Protection of the People’s Republic of China, the National Environmental Science and Technology Awards - Silver Award for the VMAT used oil recycling technology. VMAT is now becoming the energy efficient standard among the oil recycling industry; installations have been setup in Indonesia, Mongolia, Beijing, Hong Kong and more will be setup in Southern China within 2009, we are also receiving many inquires and visits from Europe and South Africa. 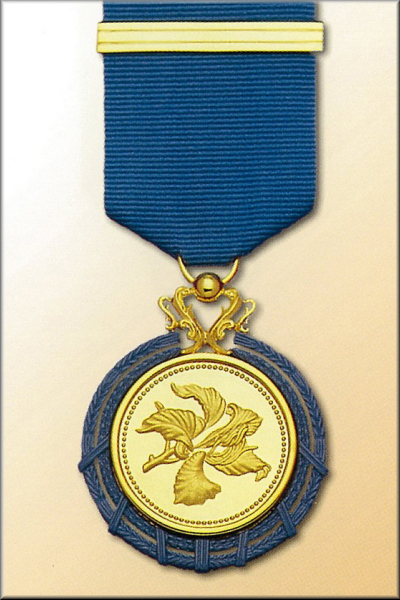 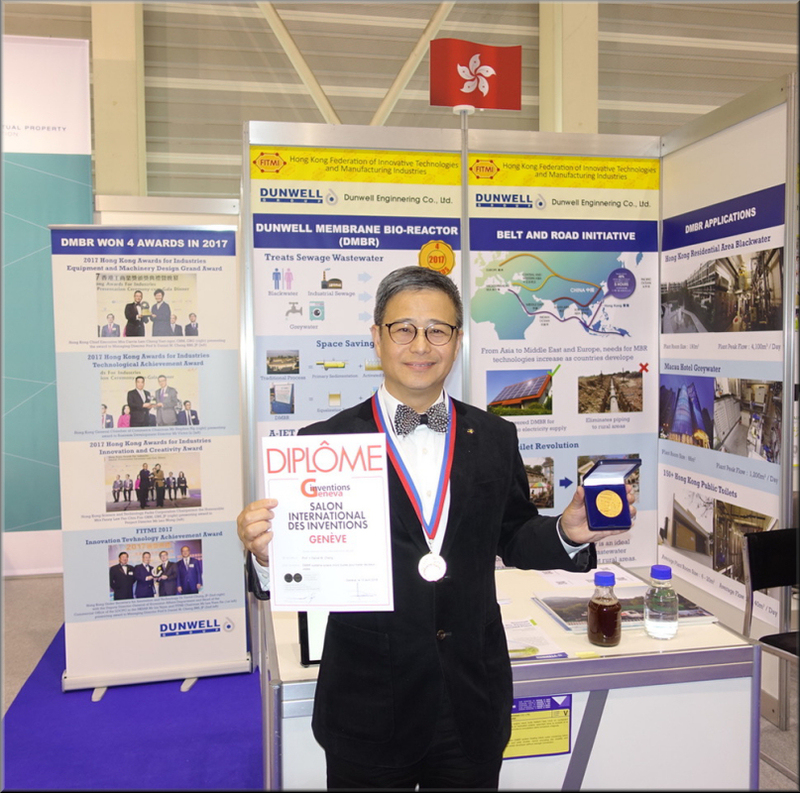 Dunwell's Managing Director, Mr Daniel M. Cheng, was awarded on July 1 the Medal of Honour for his valuable contribution to the local environmental industry. 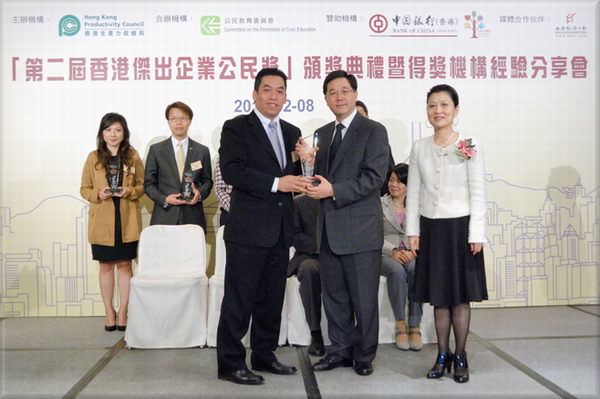 The Honours presentation ceremony was held on Oct. 27. 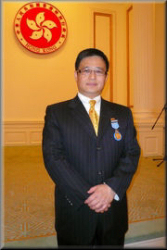 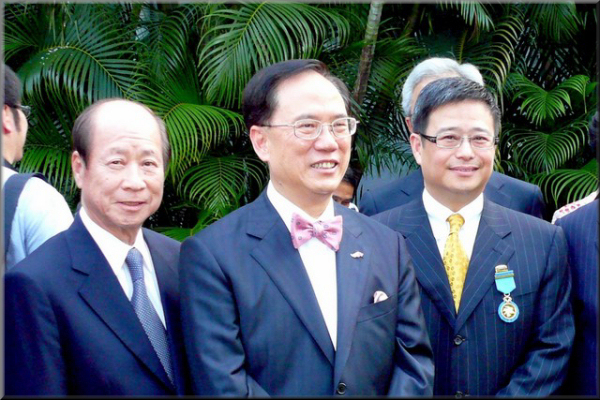 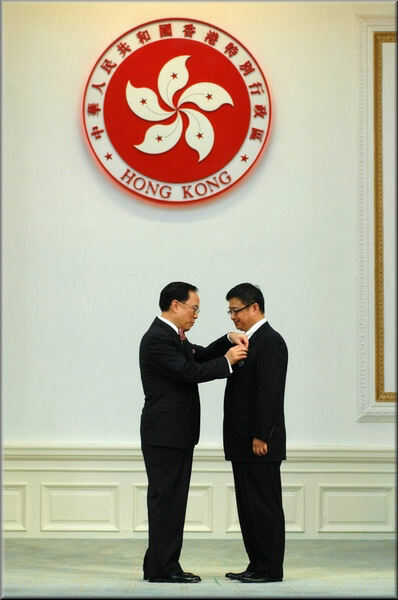 Mr. Daniel M. Cheng received the Medal of Honour from the Chief Executive, Mr. Donald Tsang at the Guest House, HKSAR. 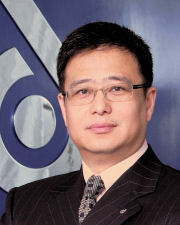 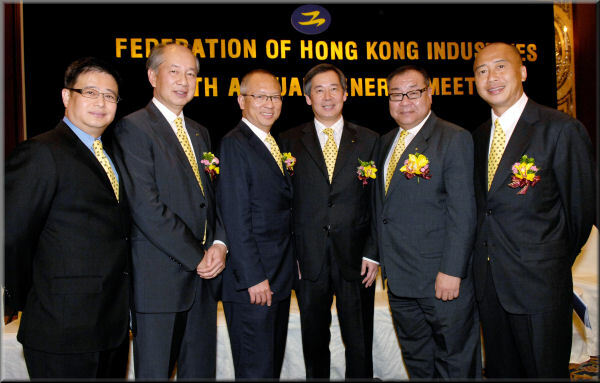 Mr. Daniel M. Cheng has been serving on the General Committee of the Federation of Hong Kong Industries (FHKI) with over 3,000 company members since 1997 as Chairman of Group 20 and Group 26 (Environmental Industries) since 2004. 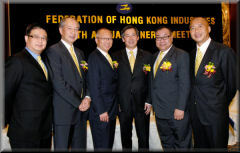 On July 4th, he was elected as one of the five Deputy Chairmen of FHKI, serving together with the new Chairman, Mr. Clement Chen, BBS, JP, and Deputy Chairmen including Mr. Cliff Sun, BBS, JP, Dr Roy Chung, JP, Mr. Stanley Lau, MH, and Mr. Eddy Lee. 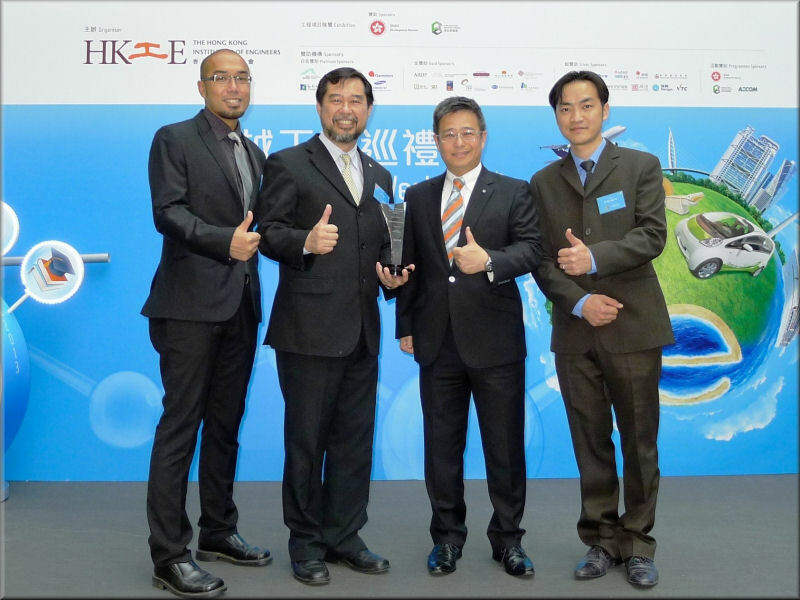 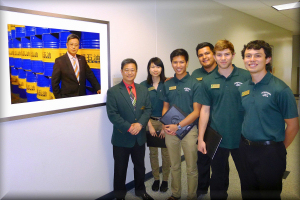 Mr. Cheng will be looking after the Environmental Affairs for FHKI. 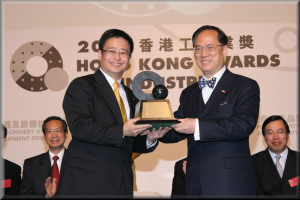 Please visit http://www.industryhk.org/tc_chi/aboutus/aboutus_fhki/aboutus_fhki.php for more information on Federation of Hong Kong Industries. 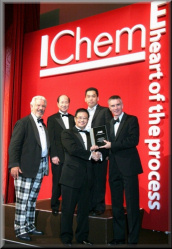 Proud to announce that Dunwell have just WON back to back two International Awards, the Winner Award from the Institution of Chemical Engineers (IChemE) -Environment Award in London on Oct 5th, 2006, and the Bronze Prize from the Wall Street Journal- 9th Asian Innovation Award in Singapore on Oct 31st, 2006 competing with over 200 entries with Dunwell's Used Oil Recycling System (VMAT)-the proprietary Vibrating Membrane Filtration System. 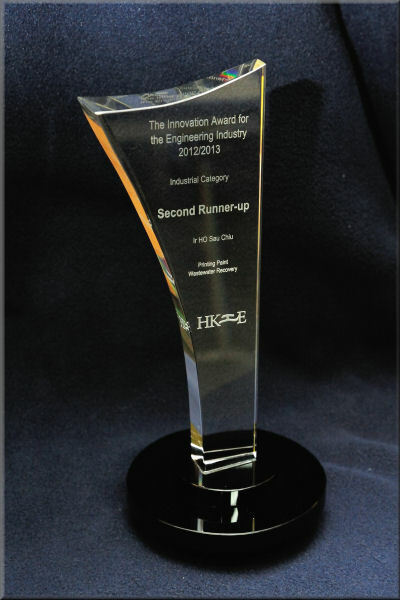 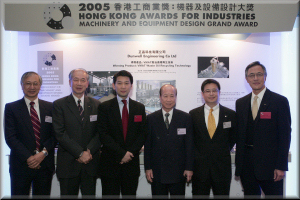 After receiving the Grand Award from 2005 HK Awards for Industry - Machinery & Equipment Design Category in 2005, on October 5th 2006 in London, UK., Dunwell Engineering Co., Ltd. became the first Chinese Company in the history of Institution of Chemical Engineers (IChemE) to be shortlisted and won one of the IChemE Winner Awards - Environment Award since it was originally found 1922. 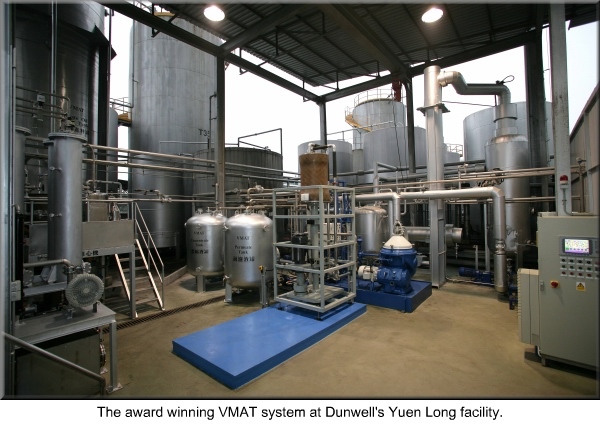 Competing against finalists from giant global companies, Dunwell's VMAT Used Oil Recycling System is simple yet innovative had won the judges' vote. 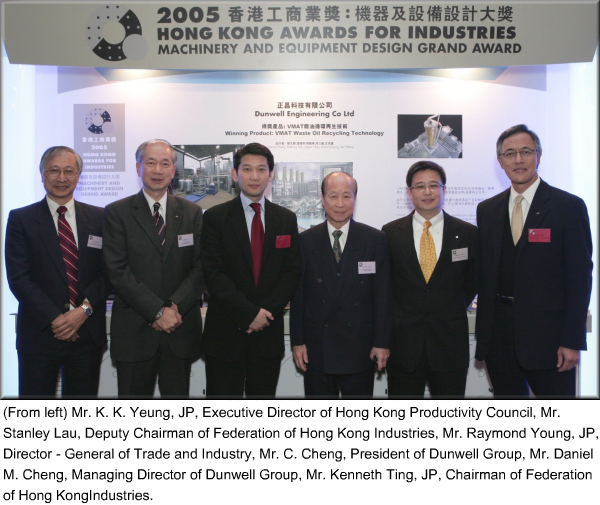 On Feb 27, 2006, Dunwell's VMAT system received the Grand Award from HK Awards for Industry - Machinery and Equipment Design Category. 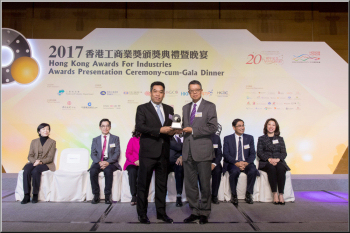 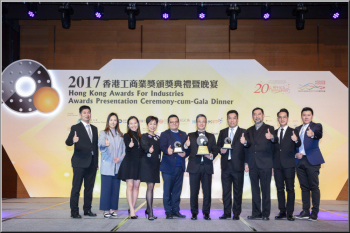 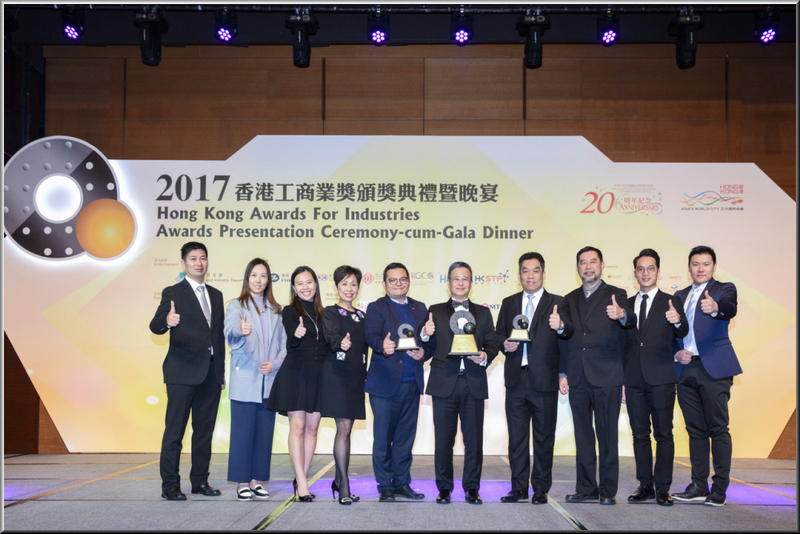 This is the most prestigious award in HK recognizing outstanding industrial product design and is presented by the Chief Executive Hon. Donald Tsang of The Government of the Hong Kong Special Administrative Region.